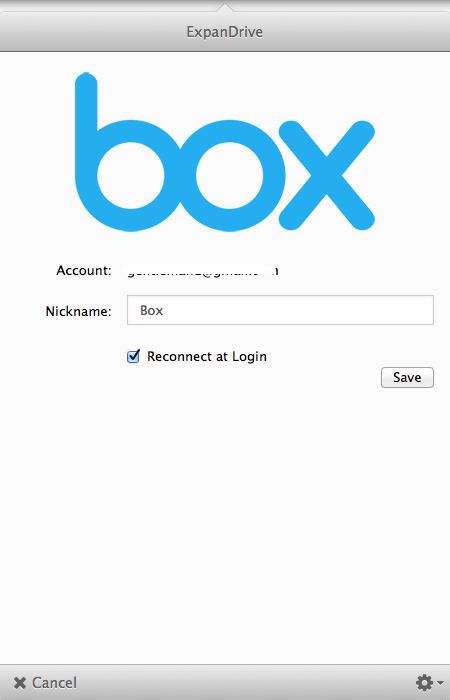 Box.com is a cloud based file storage solution for individuals and businesses. You can use Expandrive to connect to Box.com using either a Personal account, or a business account. Business accounts support single sign-on (SSO). ExpanDrive gives you the opportunity to connect to your Box.com files using a familiar file browser interface native to your OS. Click on Box.com. The authorization screen is displayed. Click on Log into Box.com. The Log In screen is displayed. Enter the credentials of your Box.com Personal or Business account. 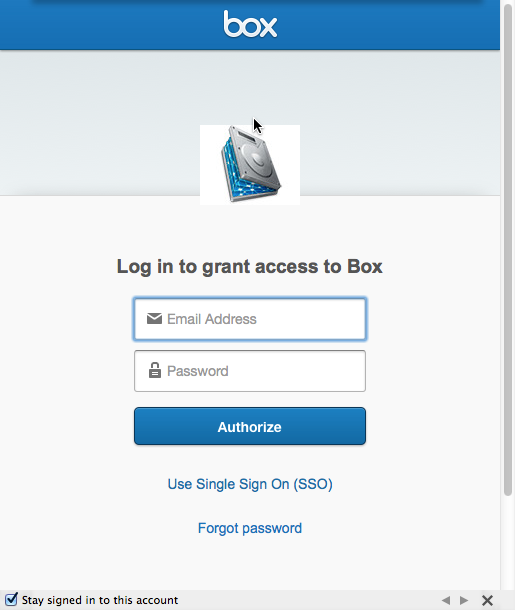 Note: Business users can also click on “Use Single Sign On (SSO)” to use their organization’s network to log in. The cloud storage configuration screen is then displayed. 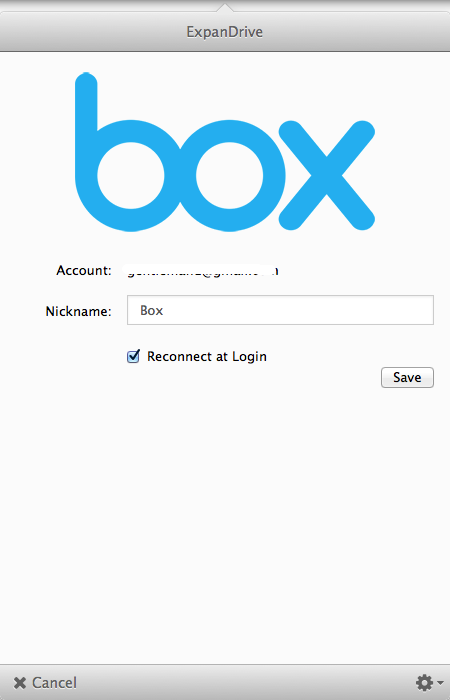 account username for your Box.com account. 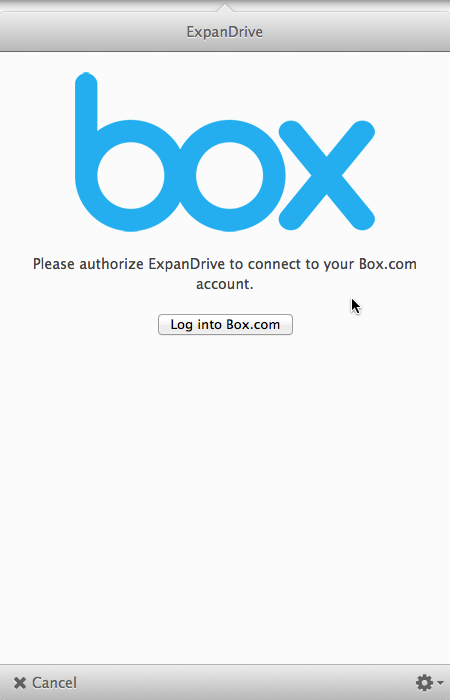 Reconnect at Login Setting which will enable ExpanDrive to automatically connect to Box.com at each login. Return to the Main Screen of ExpanDrive by clicking on the ExpanDrive icon in the system tray. to connect to your storage. ExpanDrive will connect to the service, and the file browser interface native to your OS will open upon a successful connection.